Looking for the next party accessory to wow your guests? Forget Pinterest, we have the newest, most creative way to jazz up your cocktails as this summer comes to an end. Urban Outfitters is a trendy clothing store, located in major malls throughout the U.S., that many people don’t know has a great home decor department. 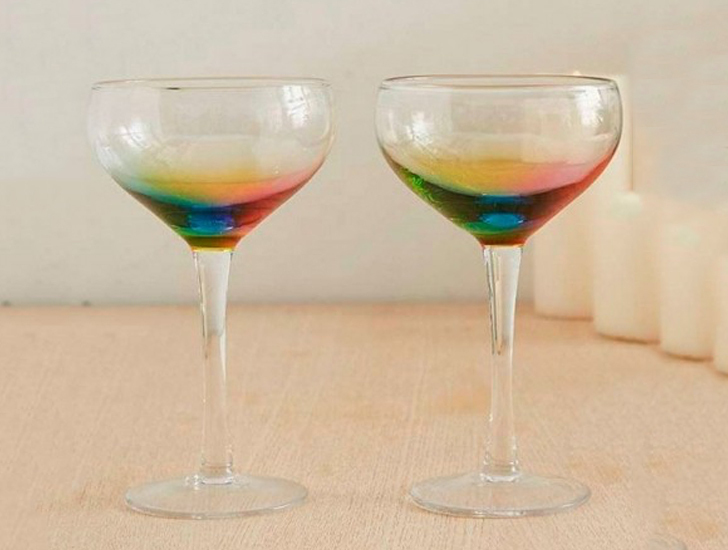 And this department just released Rainbow Coupe Glasses. These cocktail glasses are meant for clear alcohol like champagne, white wine, or martinis. 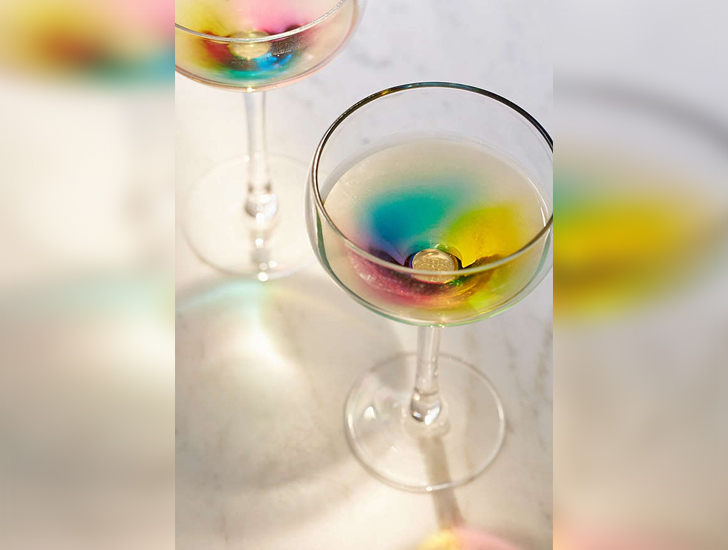 The transparent liquids really highlight the rainbow in the glasses, making the alcohol itself look colored. We suggest champagne, because the shape of the glasses already makes them appear Gatsby-like and glamorous. Store them on a shelf with good lighting while they’re not being used, the sunlight is bound to make them sparkle. You could even put them on your bar under a small spotlight. There is no doubt they will jazz up the space. The glasses come in sets of two and are available online only, for $40 a pair. The investment will be worth it, as your summer party patrons are bound to talk about them for months to come. Would you buy these cocktail glasses? Comment below and don’t forget to SHARE to Facebook!